Senators passed a bill April 11 that will improve inmates’ access to communication. 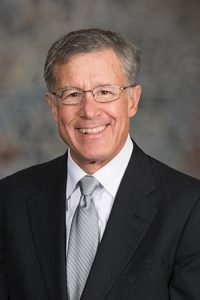 LB776, introduced by Omaha Sen. John McCollister, requires county and city jails to provide inmates with affordable communication by telephone or videoconferencing with their families and legal counsel. Under the bill, each jail can establish a prepaid or collect telephone system, or a combination of both. Inmates’ family members can deposit money into a prepaid account with a third-party provider of telephone services to cover the cost of the call. The bill ensures that phone calls or videoconference sessions between an inmate and an attorney are free of charge. Monitoring or recording of such communications is prohibited. City and county jails that generate revenue from inmate phone calls can retain such revenue to fund inmate programs, so long as it is not excessive. The Jail Standards Board will consider the acceptable rates set by the Federal Communications Commission in setting comparable rates for city and county jails. The bill passed on a 38-8 vote.